Singapore is often described as a modern-day island-nation; developed, and yet still traditional. However, in building this grand narrative, what we often don’t see are the difficult stories of the pain and sacrifice involved in making Singapore what it is today. Row by Amanda Tan and Between Pudukkottai and Singapore – Poems by N Rengarajan by Vishal Daryanomel offer perspectives of two individuals who are just as vital a part of Singapore’s social and economic fabric as any. Both filmmakers choose to tell these stories in an ethnographic manner, revealing the multifaceted nature of ethnography. 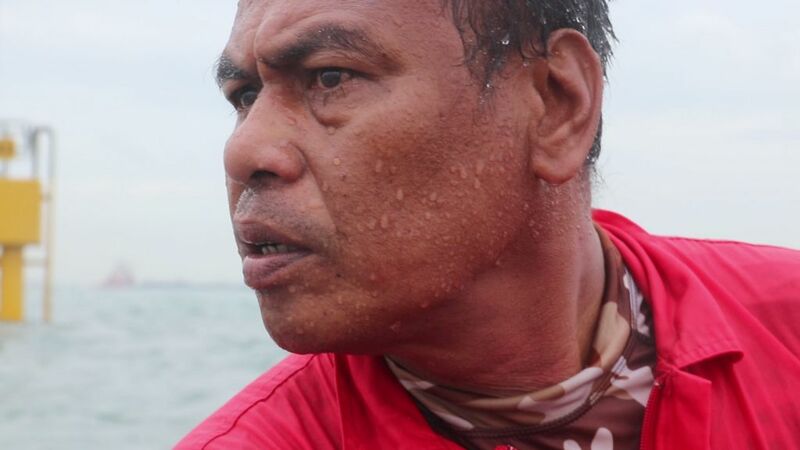 In Row, Tan films Nasri Basir, one of the last remaining traditional fishermen in Singapore, capturing his day-to-day life at sea. 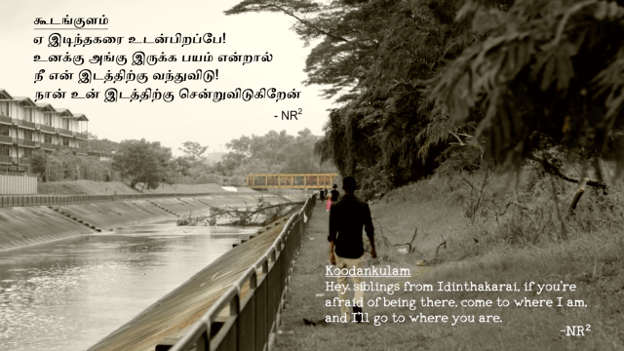 In Pudukkottai, Daryanomel displays the life and poetry of N. Rengarajan – a construction worker from Pudukkottai, a town in Tamil Nadu, India. Despite being ethnographic documentaries, both films approach story-telling in vastly different ways. Where Row has little to no dialogue, with meaning instead being evoked by the fishermen and their interactions with the sea, Pudukkottai rests on the basis of the written word. In Pudukkottai, Rengarajan says a line about how poetry comes from pain, implying that deeply emotional sentiments of life are almost impossible to convey in conventional language. Similarly, when it comes to making a documentary, it is no longer sufficient to simply film a subject’s testimonial and place that footage in its historical context in order to depict the subject’s feelings. Just as poetry elicits deep and visceral empathy from its reader, so too must the film from its viewer. This film layers several different cinematic languages to make a documentary that is just as much poetry as it is about poetry. For instance, the opening sequence features Rengarajan narrating his poem The Pros and Cons of Living Abroad, set to a series of footage. Even though the visuals are intended to accompany the words, if taken on their own, the images alone placed in that specific order add another layer of meaning. The visuals are not just an aid or accompaniment to the words, but rather the language of poetry and the language of film work together to convey feelings in a manner that goes beyond the simple documentary testimonial. Row, on the other hand has no pre-mediated dialogue. All of the spoken words occur as per the interactions unfolding on screen. The language Tan chooses to focus on is the language of the sea – her camera itself bobbing with the boat as the tide swells and breaks. There is a sense of fly-on-the-wall immediacy to her ethnographic technique. In the vast expanse of the sea, there are no signposts nor anyone to ask for directions. Yet, for some, this may lead to a sense of confusion. Even though I appreciated the cinematography of the film, with the shots of vast expanses of sea, I found the film slightly untethered. It was only during the post-screening QnA where I came to a better understanding of the filmmaker’s intention. Nonetheless, Tan’s dedication to the subject was clearly visible in the intimate shots of the wrinkles lining Basri’s face, and her depiction of his confidence in navigating the sea. Where one film emphasises words, the other emphasises their absence; both films bringing us closer to their subjects’ experiences. It’s no surprise that at a screening of short films from Singapore, the question of “what makes this representative of Singapore” is raised. The answer to this question invariably evokes the image of the ever-progressing island-nation. However, both films add a new dimension, reminding audiences of the existence of the multitude of voices from the outside. In Pudukkottai, between Rengarajan’s stories and videos of his poetry recitals, Daryanomel inserts fractions of poems. 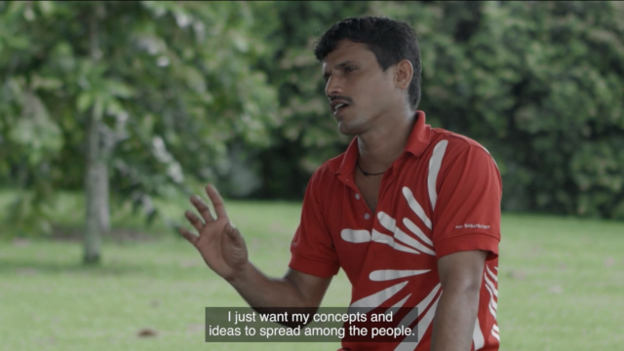 These poems reflect Rengarajan’s view of being a migrant worker in Singapore. However, more than that, they touch on topics like love and loss, feelings to which most of us can relate to regardless of our path in life. Beneath the construction site teeming with people operating machinery and carrying cement, lies the unseen picture of a person with feelings and opinions, just like you and me. 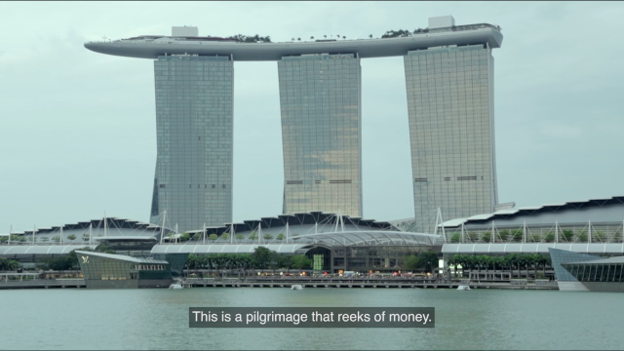 This film serves as an important reminder that just as we celebrate the progress Singapore makes, walk through new buildings and admire their modern designs, we must also remember their builders and the right they have to claim their place in the ‘Singapore story’ – whatever that may be. Similarly in Row, it seems as though the film seeks to capture and retain a dying tradition. With new infrastructural and technological developments, there is just as much to lose as there is to gain. The laborious technique of cage fishing depicted in Tan’s film is becoming increasingly irrelevant. Yet, these fishermen are an intrinsic part of the Singapore Straits. At the post-screening discussion, Tan described how the fishermen are able to navigate through the Straits as easily as we could walk along Orchard Road. For me, this analogy raised a necessary realisation. The sea is for fishermen like Nasri Basir what land is to us. We tie our entire notions of self to the land we walk on, the environment we inhabit – so why is it that in a country surrounded by the ocean, we do not hear of communities whose lives are tied to the sea? In lending her camera to Nasri Basir’s daily life experience, Tan gives a voice to an entire Singapore community that has passed on knowledge from generation to generation of the waters so intimate to this island. What emerges from watching these two films is the simple fact that the life of every individual carries its own story. Yes, Singapore is a successful island-nation, having gone from a fishing village to a modern metropolis. But at every level of this narrative there are people with their own stories that ought to be heard. Even if these voices forgo tales of success to speak of pain. Listening to these stories, happy or not, we get a better understanding of where we live and how we got here. Tanvi Rajvanshi has a background in English Literature and Film Studies. She was in the Youth Jury and Critics Programme for the 27th edition of the Singapore International Film Festival. She has since returned to the 28th edition of SGIFF as a writer, and has also been a contributing writer for SINdie. Her biggest cinema pet peeve is the violent glaring white screen of a cellphone in a nice dark hall. The views set out in this article are those of the author and is not representative of AFA’s official opinion.